Stitch’s Great Escape Attraction in Tomorrowland at Magic Kingdom Park in Walt Disney World; opened November 16, 2004. 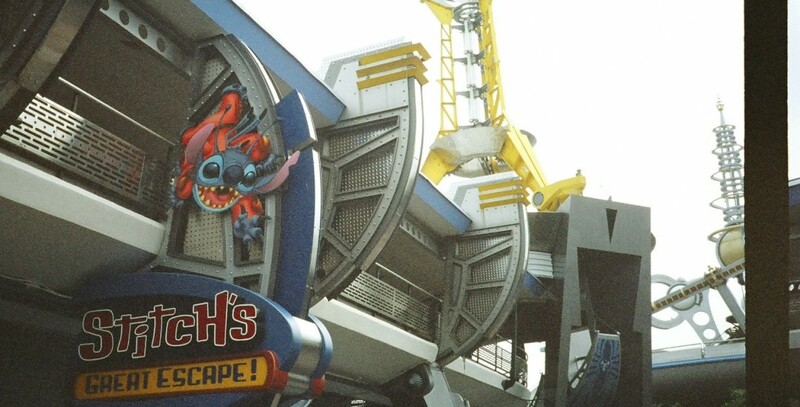 Stitch has been captured by the Galactic Federation and Park guests are asked to provide security. They aren’t very good security guards, and Stitch escapes. Replaced The ExtraTERRORestrial Alien Encounter.